Growing up in a nowhere rural river town gives one a certain affinity for the blues and the hard-life music of the American south. The seasonal rise and fall of the dark water, the bearded old trees that slump in the damp air and lopsided houses flaking off their foundations. Such visions inhabit the mind of Karl S. Williams and bleed through his music, which evokes the blues with peculiar authenticity. Accompanied by his ladies Ida Belle, Bettie Mae and Beatrice (his acoustic guitar, banjo and keys respectively) Karl S. Williams delivers his songs with utter conviction, weaving beautiful ballads, stomping delta hollers, soulful rhythm and knee slapping blues. 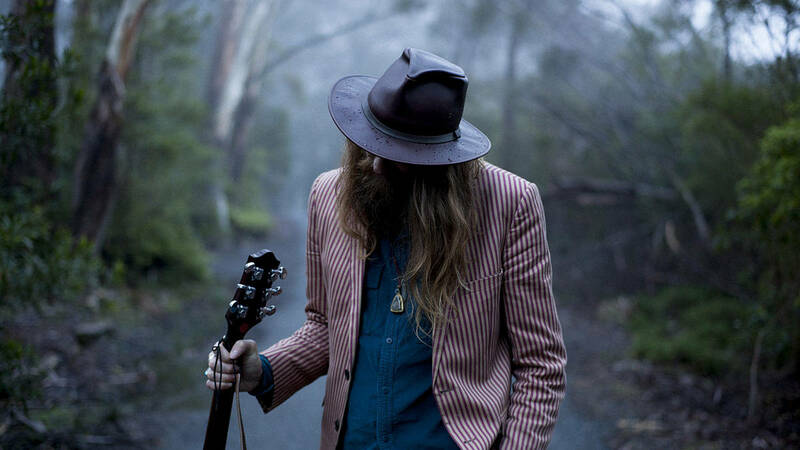 Ten days in the studio with engineer/producer Yanto Browning (The Medics, Art of Sleeping, Kate Miller-Heidke) yielded the debut album Heartwood – released in August of 2013. With influences that range from Son House to Nina Simone and Nick Drake to Ray LaMontagne, gospel, folk and blues; the sound is eclectic and steeped in a kind of reckless honesty. The songs represent one man’s dialogue with the infinite. Prayers that we are allowed to overhear. They pass through us with crippling intensity toward their ultimate audience in the great beyond and leave us resonating like a bell, struck with an unequivocal truth of experience and emotion. Having newly released Heartwood (which he says is like presenting the infant to the hungry lions) and after much kind attention, Karl S. Williams looks ahead with great hope.